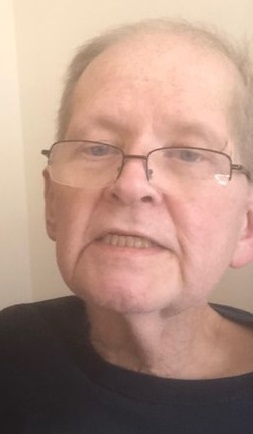 James M. Kennedy, Jr., 66, of Wheeling, WV died January 28, 2019 at Liza’s Place. He was born April 21, 1952, in Wheeling, WV, a son of the late James and Juanita (Miller) Kennedy. James was a retired Respiratory Therapist at Weirton Medical Center, and currently worked as a caregiver for Russell Nesbitt Services. In addition to his parents, James was preceded in death by his partner, Andy Kurucz Jr. in 2008. He is survived by his Uncle, Richard (Leona) Miller of Follansbee; Aunts, Annie Miller of Wheeling, Dolores Miller of Maryland, Caroline Miller of Maryland, and many cousins. James is survived by his many friends, including his special friends, Amy, Eddie, Missy, Paula, and Shelly. In keeping with James’ wishes, private interment will be held at the convenience of the family. Arrangements entrusted to Wilson Funeral Home Brookside, OH. In lieu of flowers memorial contributions may be made to Liza’s Place Valley Hospice South, 10686 St. Rt. 150, Rayland, OH 43943. To offer online condolences please visit wilsonfuneralhomes.com.